Conatus Pharmaceuticals Inc (NASDAQ: CNAT) shares rose 145 percent to $4.80 in pre-market trading following announcement of a licensing deal with Novartis AG (ADR) (NYSE: NVS). Akebia Therapeutics Inc (NASDAQ: AKBA) shares rose 37.7 percent to $11.50 in pre-market trading. Akebia and Otsuka Pharmaceutical announced a partnership to develop and commercialize vadadustat in the U.S.
ACADIA Pharmaceuticals Inc. (NASDAQ: ACAD) rose 25.9 percent to $32.01 in pre-market trading after the company disclosed that it has achieved primary endpoint in reduction of psychosis versus placebo by NPI-NH Psychosis score in Phase 2 exploratory study. Arca Biopharma Inc (NASDAQ: ABIO) rose 18.7 percent to $2.79 in pre-market trading after dropping 2.08 percent on Monday. W&T Offshore, Inc. (NYSE: WTI) shares rose 5.6 percent to $3.19 in pre-market trading after climbing 13.11 percent on Monday. VimpelCom Ltd (ADR) (NASDAQ: VIP) shares rose 5.3 percent to $4.00 in pre-market trading after gaining 0.26 percent on Monday. Aurinia Pharmaceuticals Inc (NASDAQ: AUPH) shares rose 3.9 percent to $2.92 in pre-market trading after the company reported a long-term manufacturing collaboration deal with Lonza for voclosporin. BlackBerry Ltd (NASDAQ: BBRY) rose 3 percent to $7.93 in pre-market trading after the company reported better-than-expected earnings for its third quarter on Tuesday. NVIDIA Corporation (NASDAQ: NVDA) rose 2.8 percent to $104.45 in pre-market trading. Mizuho maintained NVIDIA with a Buy and raised the price target from $80.00 to $115.00. NeoPhotonics Corp (NYSE: NPTN) shares fell 21.5 percent to $9.80 in pre-market trading. NeoPhotonics issued a weak outlook for the fourth quarter and reported a deal to sell its Low Speed transceiver unit to APAT Optoelectronics for $26.4 million. TD Ameritrade Holding Corp. (NASDAQ: AMTD) fell 7.8 percent to $40.44 in pre-market trading after dropping 0.20 percent on Monday. Cempra Inc (NASDAQ: CEMP) shares fell 7.6 percent to $6.65 in pre-market trading. SunTrust Robinson Humphrey downgraded Cempra from Buy to Sell and lowered the price target from $18.00 to $5.00. Sibanye Gold Ltd (ADR) (NYSE: SBGL) fell 6.9 percent to $6.24 in pre-market trading after gaining 1.36 percent on Monday. Resolute Energy Corp (NYSE: REN) shares fell 5.3 percent to $38.81 in pre-market trading. Resolute Energy priced its 3.8 million share offering at $38.00 per share. Worthington Industries, Inc. (NYSE: WOR) fell 5 percent to $52.99 in pre-market trading after the company reported weaker-than-expected earnings for its fiscal second quarter on Monday. Brainstorm Cell Therapeutics Inc (NASDAQ: BCLI) fell 3.8 percent to $2.77 in pre-market trading after rising 7.87 percent on Monday. General Mills, Inc. (NYSE: GIS) shares fell 3.1 percent to $61.10 in pre-market trading after the company posted weaker-than-expected results for its second quarter on Tuesday. 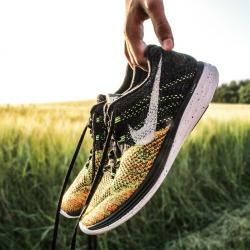 Which Shoe Retailers Mirror Nike's Performance?